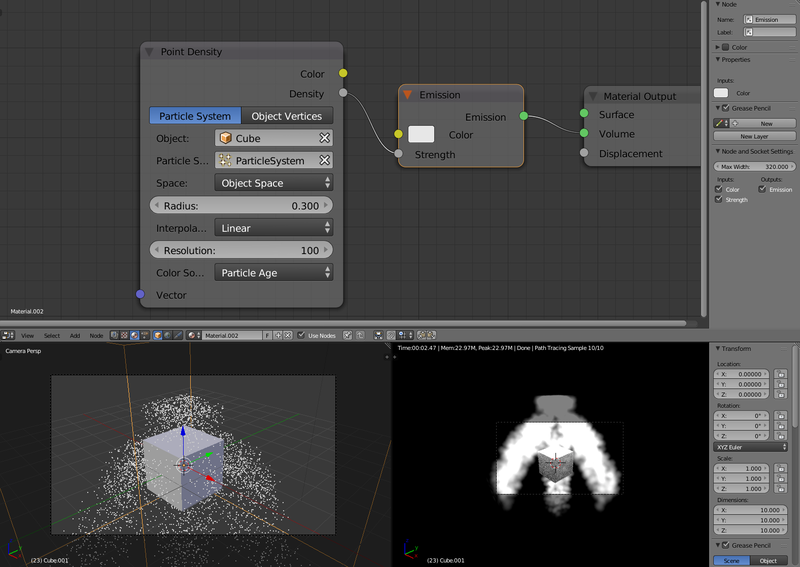 Using object space for point density results in wrong scale, see attached image (the cube was scaled in edit mode and has scale 1.0 but dimensions 10.0. Using world space yields the correct result. 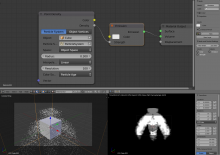 Open attached .blend, render or turn on rendered view in viewport. I would be happy to solve the issue, but i don't really see attached .blend file. Sorry for that, try the above one. I confirm that same problem is visible for object vertices. It seems that Worldspace is limited to a volume of 2X2X2 BU and Objectspace is just increasing this result to mesh bounding box. @Gottfried Hofmann (gottfried), your issue should be now fixed in rB4c09f47. @ronan ducluzeau (zeauro), this is a bit pf limitation of how Cycles samples density of an object -- it uses texture space to get boundaries within which sampling should happen. Will check if this could become more reliable.